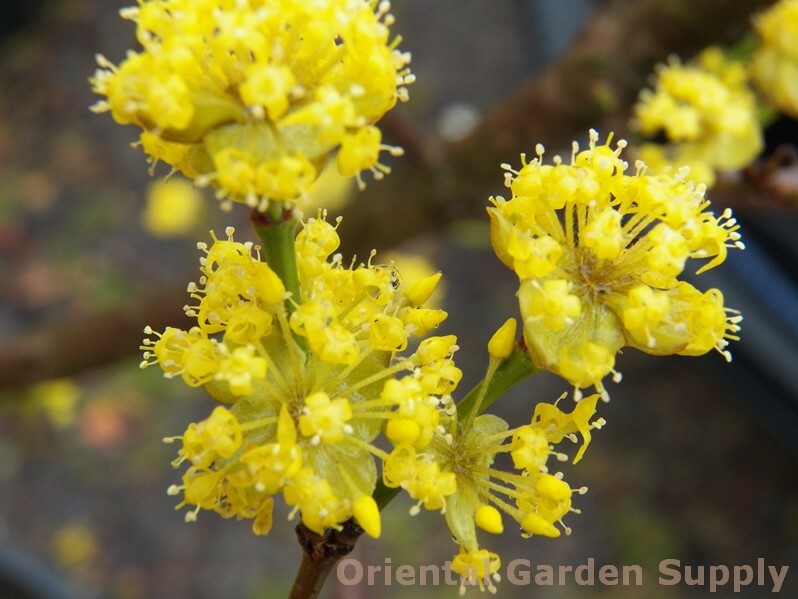 Product Information : Earlier bloom than forsythia with yellow flowers in tight clusters close to stems. Bright scarlet fruit in summer. Fall color reds to purple. Flaking tan bark.